AFFAIRE Stream New Single "Shotgun Marriage"
Portuguese rockers AFFÄIRE have released their newest single for the track "Shotgun Marriage" and you can give it a first listen below! 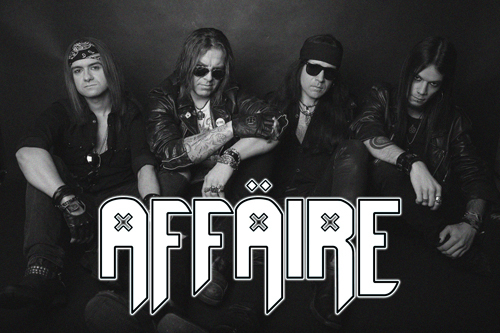 "Shotgun Marriage" is one of the 5 tracks from AFFÄIRE's new CD, Neon Gods, which is set to be released on May 15th. This is the follow-up to the Portuguese band's debut full-length At First Sight, released in the autumn of 2015 by Californian label Demon Doll Records, which attained remarkable airplay and gathered rave reviews from specialized media worldwide.